"Hosanna, blessed is he who comes in the name of the Lord" is found multiples times in the bible in the story of Jesus's triumphal entry into the city. I love this piece of history and sometimes get lost in the thought of what it looked like, sounded like. I wonder what the bystanders were thinking as Jesus's followers untied the colt and led it away. I have so much curiosity about this scene as it unfolded. But today I'm particularly thinking of the people shouting "Hosanna". Stick with me a few minutes and you'll hear why this is applicable to my journey4hope blog. According to dictionary.com, hosanna is an exclamation - originally an appeal to God for deliverance, used in praise of God or Christ. I love this definition because it makes me smile as i think of this small town in Ethiopia called Hosanna. 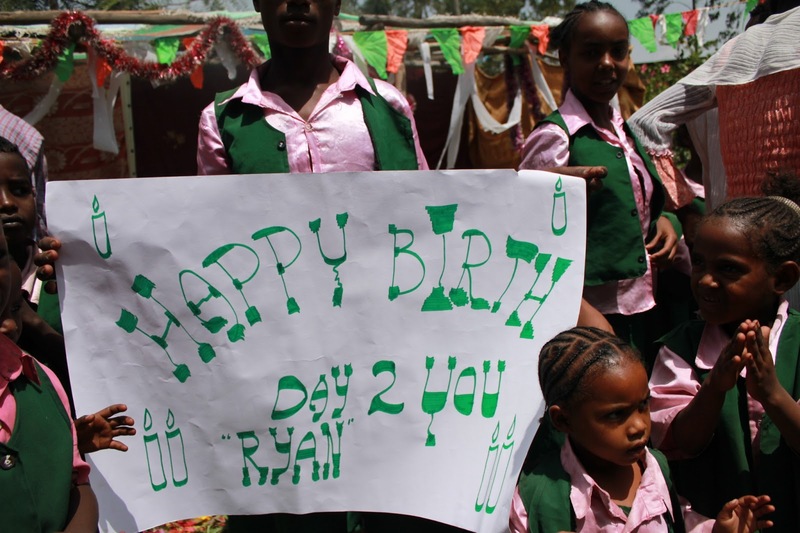 Located in southwest Ethiopia, Hosanna is home to a school called Haile Babamo. This school is located where the poor people from the city and poor farmers live. Many of the 1,500 students are involved in labor to support their school and basic needs. But when in school rather than working, an average of 60 students per classroom can be found excelling in their education. In Ethiopia, even a primary education is an opportunity they appreciate. I could continue on about the strength of the school and the limitations they face, or the opportunities the school is looking at, and I'll flesh that out another day. But what I'm super excited about is getting involved with the current needs of the school. 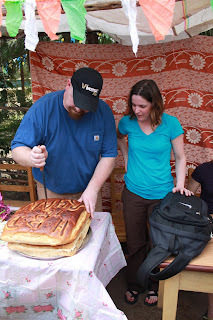 If you pay any attention to my blog, you know I've been very quiet about Ethiopia. After pursuing two girls for adoption and being told we weren't a good fit, i needed a break. There was no doubt my heart is connected to Ethiopia but i was surprised by the closed door and unsure of how to move forward. In the meantime, I'll continue to shout Hosanna and appeal to God for this project and the specific needs laid out for it. So yesterday I shared about the need to get involved in keeping first families together. It's critical in my mind. Yesterday, I read gruesome details of a public orphanage in Ethiopia. My friend wrote the blog post having just been there and experienced it herself. I was horrified. She carefully shared enough to give us an idea of reality. The need is great people. Please don't breeze through those words. The.Need.Is.Great. Even if we're not going on extravagant vacations, carrying around the most recent iwhatever, or eating out twice a week, we have so much. Roots was birthed out of a desire of adoptive families to connect with Ethiopia in culturally appropriate and forward-thinking ways. One thing I love about Roots is that their decisions are based on local wisdom and experience. I also love that they've started small and desire a strong anchor before they reach out far and wide. The two main projects that Roots works on is Income Generating Grants (IGA's) and school sponsorships. Roots can be found via their website, facebook, and even cool snippets on pinterest! Check them out and see how you can help. $28 a month sponsors an IGA and $20 a month sponsors a student's education and medical. 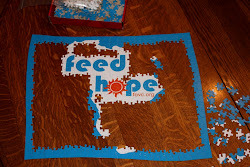 Hope Chest is the organization we volunteer with. I have grown to love Hope Chest and their methodology. They work mostly in child sponsorship in countries like Russia, Swaziland, Haiti, Guatamala, Uganda, and Ethiopia. Their focus is a community to community focus. So, for example, my work community, or my church community, would focus on a single community in Ethiopia through sponsorship and other capital campaigns. It's awesome to see a group of like-minded people work together to focus on a small area. This is, by the way, how we sometimes work on water quality in my 8-5 job - a small area of focus so you can see the impact. We call it a watershed approach. Anyway, our community of choice has been Shanto since we were introduced to them in late 2010. This is where Ryan and I have been involved specifically working with widows to help them survive and thrive and keep their families together. The work that Ryan and I do is called a capital campaign project and our current campaign is to finish off the second half of the livestock project we started where we give a woman a cow and a sheep. She will then repay her "loan" by giving away the first born of her animals. There is no set monthly donation to support the livestock project. Child sponsorship is $34/month and pays for private education, medical, and a uniform. FOVC is an Ethiopian non-profit. The Shanto project mentioned above partners locally with FOVC. What started as a man caring for two orphans has grown exponentially. While FOVC in Shanto is supported mostly by Hope Chest, they exist in two other communities in southern Ethiopia that aren't in a Hope Chest program. Desalegn is always looking for people to partner with him in sponsorship and IGA's. ZAT stands for Ziway & Adami Tulu - two communities in Southern Ethiopia which we've driven through on our way to Soddo. ZAT project partners through Lifesong for Orphans in child sponsorship. Lifesong partners with local ministries to employ excellent education with two meals per day. My adoption travel buddy and real life friend at GodWillAdd has poured her heart into this project. She's gone so far as to run a marathon to bring awareness and raise money. In 2012, the ZAT project funded 830 students to attend school. A $19/month donation covers the tuition, and meals for a student in the Ziway, and Adami Tulu areas. 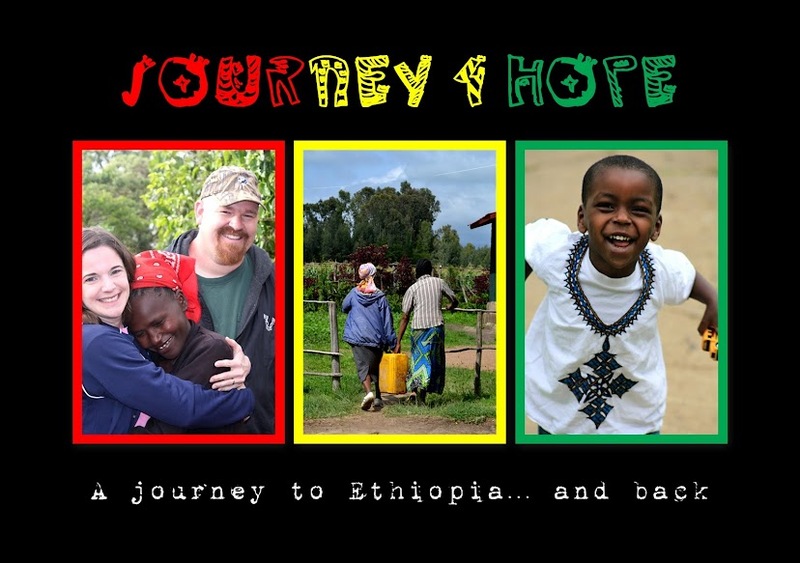 A non-profit here in the states that desires to improve the lives of Ethiopian orphans. 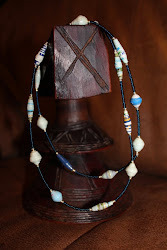 They work in partnership with local non-profits in Ethiopia. For example, at FOVC, they built the new addition which is currently being used for the crowded school. EOR welcomes you to participate in your own fundraising drive in your community, as well as donations. Heartline is located in the heart of Port Au Prince, Haiti. I was introduced to Heartline a handful of years ago through my friend Michelle who was born in Haiti while her parents served there as missionaries. We hosted a "purse party" and I have been so impressed with their work. They have some really neat ministries going on there that get to the heart of the problem. They created a women's program where they have a place to learn life-skills and support their families out of poverty. They have a maternity center where expecting mothers can have medical care, education, and clean delivery options. They have a children's home that they partner with. They've even started a bakery where men are discipled half the day and work in the bakery the other half. They're learning a trade and learning how to be MEN in their homes. They also have a great fundraising project where you can host a purse party. They mail you the purses made by the women in their sewing program, and you sale them at the purse party and mail back ones not used. It's an awesome way to have a social gathering with purpose. Ministry opportunities abound. If you're interested in learning more about one of the ministries above, check out their website, or contact me. If you're looking for a way to get involved locally, or in a country besides Ethiopia, I'd be happy to help you find a good cause. Those can be some pretty heavy words. Words from my last post. I mentioned feeling lonely because others in our community hadn't adopted. I mentioned questioning if I'd dishonored God by not carefully choosing my conversations. I most certainly had guilt over it. For the past several months, I've been calling to question everything I believe about adoption. This seemingly good thing called adoption can be so twisted, and miry. The opportunity to change a child's life presents another opportunity for deceit, lies, and scams. I'm not writing to hate on adoptions agencies. I have no reason for vengence. I'm not writing to criticize birth parents. However I do see a broken system. It has the potential to become a supply/demand system. That's not what I want to write about today. The more I've educated myself, the more I firmly believe that the world is just jacked up. I think we all know that, right? But just because it's jacked up, doesn't mean we give up. We should all know that too, right? Let me break down a couple of the things that spin 'round and 'round in my mind. There is an orphan crisis. Does anyone know the definition of orphan? Webster would say that it's a child whose parents are dead (citation). Makes sense, right? But even Webster goes on to further explain "a child deprived by death of one or usually both parents". In terms of children, and specifically the orphan crisis, our own goverment says it this way in regards to immigration: A child may be considered an orphan because of the death or disappearance of, abandonment or desertion by, or separation or loss from, both parents. The child of an unwed mother or surviving parent may be considered an orphan if that parent is unable to care for the child properly and has, in writing, irrevocably released the child for emigration and adoption. (citation here). Love 'em or hate 'em, UNICEF desribes an orphan similarly to our government. Like you've probably heard, there are more than 130 million orphans in sub-saharan Africa, Asia, Latin America, and the Carribean (citation). That's a bunch or kids without a parent. But what reels through my mind, and my mind goes from one random tangent to another related to this topic, is this. Of those 132 million orphans, they've either lost one or both parents. That means, some of those 132 million orphans have a living birthparent who couldn't provide for them. And pardon the random tangents, but I wonder how that compares to our own nation???? How many full orphans do we have in comparison to how many kids have one dead parent and one parent who can't provide. And if said parents, whether they're in sub-saharan Africa or downtown Detroit, can't provide for their children, what is being done to help them????? The statistics are staggering. I've joined the band wagon and commented that if bible-following-family listened to the scriptures and adopted a child, we could take care of the orhpan issue. I realize how horrible that is now. Because I've educated myself and paid more attention, I jumped off that band wagon. Do I still believe that we, as bible-believing, or as good-natured people, still need to take care of orphans and widows? Abso-stinkin-lutely. Some of the staggerring statistics the UNICEF has also published say that of those 132 million orphans, only 13 million - that's 10% people - have lost both parents (citation). While valid points, I'll stay off the bunny trail of those "orphans" in our own country. Likewise, I'll (for now) leave alone the previous citation that also mentions 95% of orphans are over 5 years old. Both of these topics raise my blood pressure but I'll leave them for another day. In all this randomness, I do have a point. Do we really believe that those other 90% are orphans? Do we really believe that those other 90% should be adopted into privileged America/Europe? Let me put it this way. I know of a family where the mom is a dead beat. She's addicted to drugs and provides horrible care for her children. There is no training. No discipline. No rules. Very little love. Her kids, while they should be, are never in a car seat while travelling in a vehicle. She's what we'd call a dead beat mom. The birth father is unknown. The mom went to court and signed over care because she's unable to hold down a job and provide for them (I'm sure it's not that simple but for the sake of the point, I'm not going to lay out every detail). Based on Webster and UNICEF, these children would be considered orphans. Many families that know them would take the children in a heart beat. They would trudge through the emotional battles, the physical battles, to give them love, and training, and raise them to be responsible adults. Based on the above, would you say that a family has a right to adopt the children? Let me take this thought process of mine a step further. If you were close enough to the family and knew all the details that go on behind closed doors and knew without a doubt that they are malnourished and uncared for, would you fight to adopt those children? After all any of us could offer them a better life. Any of us could clothe and feed them, send them to school, buy them school supplies, get them to Sunday School and soccer. Would it be right for us to adopt them? What if the mom doesn't care enough and never has gone to court to legally give them up? Here's what I'm getting at. I've heard it a lot. I've even said it. We could offer them so much more. Give them a chance at life. And that thought kinda sickens me. It comes from a privileged mind set. Is it because they need a mommy and daddy and they're malnourished, or because we can give them an education and opportunity? What if some millionaire dude who lived in a mansion, had a chef on staff, a long concrete drive for riding bikes, access to private education, clothes galore, etc, etc wanted to adopt my kids. They would have way more opportunity with the rich dude. After all, we don't have a private school nearby, the kids don't know how to ride bikes because we have a gravel driveway, and this momma doesn't always prepare the healthiest meals. Does that mean they should be adopted. No way. While we're not millionaires, we're definitely not poor or in need. We're average people and that's okay by me. But as Americans, I think we begin to get this twisted idea in our minds that we can offer so much more. I'm constantly reminding myself that less privileged is okay. Especially as we look at underdeveloped nations like Ethiopia for example. We need to be familiar with and remember what's culturally appropriate. What are your thoughts on that? I'd love to hear your feedback. I'm still learning and by no means think that I have it all figured out. What I do have figured out is this. Based on the 2005 data from UNICEF, there are 120 million orphans with a living parent also called a "single orphan". These single orphans are no doubt in need. They have lost a living parent. We would have the same problem here in the U.S. if we don't have life insurance. What I want to focus on, and am more and more sure of, is focusing on those living parents. This is my Judah. We adopted him in 2010. His birth father past away in 2009. His mom was unable to provide for the three boys. She kept the two older boys (who are now working to help provide for the family) and made an adoption plan for Judah. This picture brings me great joy yet at the same time it's heart wrenching. I have no desire to send my Judah back to Ethiopia. He's mine. We chose to parent him with the best information we had at the time. But it's the time since then that has really stirred in my heart. Had someone given Judah's birth mom the tools to provide for her kids, this would be a much different picture. Empowering women to generate income that will sustain their family could change their lives. Not just the life of the single parent, but the children as well. Doesn't that remove the orphan issue if that parent can provide for her children??? In the non profit world, one of these terms is called an Income Generating Grant (IGA). IGA's are an awesome idea. Because I'm most familiar with rural Ethiopia, they receive start up funds to begin their new "job", as well as basic training as appropriate for animal husbandry, accounting, etc. I love, love, love this idea. This is my point. There are bunch of orphans out there. Single and Double Orphans. There are men and women struggling to survive and thrive and provide for their families. We should be concerned with providing for widows as well. IGA's is one way that we, in privileged America, can do it. Tommorow, I'll post a couple of really cool opportunities to give a little of our privelege to help a widow keep her/his family together. Because I believe the bible tells us to care for orphans and for widows, I think it's important that we do both. By sharing about the need to care for the widows, I'm not discounting the need to care for orphans. A by-product for caring for widows, generally includes caring for orphans. In any case, orphans do exist. We do need to care for them too. We also need to be knowledgeable and ask the right questions when pursuing any sort of adoption. It's what she said. I read a blog post yesterday and now I can't find the link to it. The post resonated in my heart and my mind. It was as if the blogger was writing my thoughts. Her words weren't eloquent. Her story wasn't super exciting, didn't share any "dirt", any miracles, or crazy things that would typically grab attention. I won't share her whole story. Instead, I'll share the feelings it stirred inside my heart, which are much of the same as her words. (Sorry mysterious person who I can't find right now to give credit to). It was about this time of year four years ago when we began the adoption process. We had prayed for months, educated ourselves for months, and researched for several more months before jumping into the adoption paperwork. We adopted because we wanted to. We adopted because we wanted more children and felt that we could provide for a child in need. We adopted because the need was great. We adopted because the bible calls us to care for orphans. We adopted for a hand full of reasons. A side benefit for adopting was for our community (whether it be our town, our church, our family, or our friends) to see adoption happen. To be aware of the need. To be encouraged to adopt. To see an example. To know that it's totally do-able. Our communities have been supportive. They've loved us. They helped us fundraise. They kept our kids when we picked Judah up. They provided meals for us after we got home. They've watched the 3 kids on various occassions. While I'm super thankful for that, there's something missing. And before reading the mystery lady's post, I didn't know how to explain it. We don't know what seeds we've planted, or how people have supported orphans, we don't know who's felt led to do missions trips (unless they've told us). But people we interact with on a day-to-day basis haven't adopted. I remember during the process of adoption thinking and praying about how our journey to Judah might encourage families to adopt. There's a sinking feeling in my stomach when I realize that no one has. I'm not naive enough to think that ALL of my friends and family would adopt. However, I did think a small hand full would. Lonely. It's such a simple word. But not one I ever thought to use to explain how I've felt. As I consider that feeling, I have these quiet conversations with God where I ask Him what I've done wrong. Have I not given Him the glory? Have I not been a good example of adoption to those around me? Am I not purposeful enough in my conversations with others about adoption? What is His plan? Some years ago, I was given a passion for orphans. Not all of those in my day-to-day life have that same passion. I thank God for the passionate heart I have for serving those in need. I love sharing about it. I love getting others involved too. 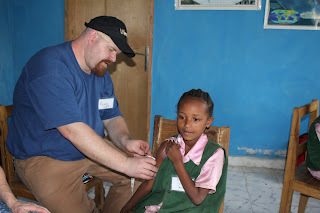 I would love to share my heart with you and bring you along on a challenging and rewarding journey to serve those in need in simple ways like raising funds to buy livestock for widows in Ethiopia, raising funds to help repair a disheveled home, help send a widow to nursing school, or sewing school, or even sponsor a child. Would you join me on this journey???? Hello Tamara, We are distributing cows and sheep to the beneficiary widows tomorrow. Thanks for the great effort you and Ryan have done for the widows and their family in Shanto and its area. You will have more details through the CHC I think after tomorrow. Tomorrow is a great celebration for our children, widows and community as it is the end of the school day besides to the distribution of the animals. Thanks again!!! Shanto distribution was completed on Saturday July 6, 2013. There was a great ceremony in the presence of local Government officials, Woreda and Zonal, heads of Bureau of Education, Finance and Economic Development, Children and Women’s Affairs, and the Agricultural Bureau. Thirty-five cows and 35 sheep were distributed to 35 widows in the community (connected to the CarePoint). The screening was originally done for 31 widows out of the total 35 according to the proposed plan. However, the type of cow to be distributed was changed to local cows within the region. The purchasing price for each cow and sheep was lower compared to the original budget. Therefore the IGA committee at Shanto increased the number of participants to 35, this was according to their objective to include all of the widows connected to the care point in the IGA program. With this conclusion participants received one cow and one sheep. During the handover ceremony all participants were given support, and made known of planned follow up and support in every direction for their future. The widows were praising God, blessing and giving thanks to the donor community, singing with shed tears. The attached pictures show the sample for the distribution of both cows and sheep. The animals were given by Government representatives. During the ceremony and distribution, an introduction about how the selection was done, the back ground of the widows and their families, and the objective of the IGA program was relayed to the audience. Oh, thank you Lord for YOUR timing and for allowing us to see this project to fruition. Thank you dear friends for helping to make this program a reality. This is changing people's lives! Thank you for your grace, patience, and understanding during this lengthy process as we transitioned to Children's Hope Chest. Ryan wrote this about his first day experience on our way to the South after landing in Ethiopia. Have you ever had a bad couple of days? Well let me tell you a little about my driver on this trip to Shanto. First, in his defense, the vehicle he has to drive is far from stellar. It does tend to sway around a lot and he has a lot of trouble getting it into 4th gear. That said whenever he turns to pass a car it is as though he is trying to do the slalom course. Yesterday he had a tough time getting the vehicle to go. We stalled numerous times and several of them were because he forgot to take the parking break off when we were starting to go after lunch. This caused us to fall so far behind the lead vehicle that we lost them and took an unscheduled tour of a before unseen portion of town, nearly hitting a commercial stall when we went to turn around and also nearly getting the four wheel drive vehicle stuck at the same time. We also had the misfortune of backing into a light pole and curb when we stopped to stretch our legs. That brings me to today. 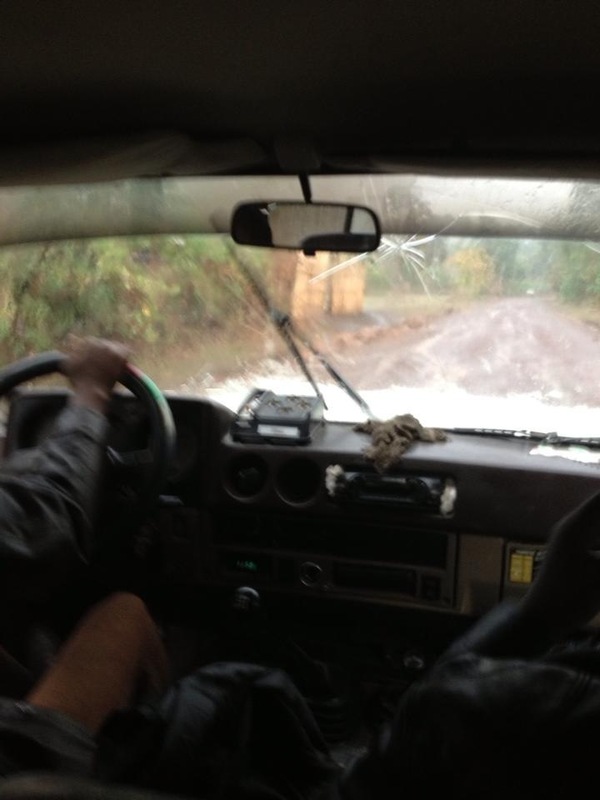 Once again we had fallen behind the lead vehicle when we got to one of the numerous round-a-bouts here in Ethiopia. We took it so fast I was thrown over into Rob, the tires squealed and Rob and I were sure we were going to tip over or at the very least lose some of the luggage strapped to the top. I guess if you are going to get in a car wreck you may as well do it with a MD by your side (more on that later). In Ethiopia it is not against the law to have your unsupervised animals wondering around the road. It is, however; illegal to hit them with a vehicle and kill them. While I do not know for certain we did come really close to a goat at one point, I heard a loud thud, as one would expect to hear if a goat head had contacted the side of the car, people yelled at us and we quickly sped out of town. When the lead car pulled over just outside of town we simply continued at a high rate of speed until we were several Kilometers down the road. Within a half hour of that we expertly hit a hole (it was to big to call it just a pot hole) which jarred the vehicle enough that the hood nearly popped loose. Stopping along the side of the road we took a piece of rope and tied the hood down with a piece of rope. Off we were again, down the road to Shanto. By this time we were well off heavily traveled roads and proceeding down the dirt road. When we rounded the corner in the middle of the road only to be greeted by a bus coming in the other direction. With the simplicity that only our driver could have shown we swerved out of the way. The problem was there was a man on the road in the way of us so instead of hitting the man, we continued forward and through a ditch that is close to a foot deep and probably 3-4 feet wide. What happened next I am not one hundred precent sure. I know I was thrown into the air twice. The first time Rob tells me he was thrown over into me so I can only assume that I was thrown into the door. When I came down I felt severe pain in my tail bone as though I had landed on a bar. I then was thrown forward because I remember thinking I was going to go over our driver. I believe that is when the rope holding all the luggage on top broke and the luggage came crashing forward, breaking the windshield and taking off the driver's side windshield wiper. When it was all said and done Rob had hurt his elbow, my tailbone was either broken or bruised, and the only damage to the car was what I mentioned. We felt lucky. The windshield was in place and who needs wipers when it doesn't rain much anyway. The day went well. I had a surprise birthday party Shanto style. Complete with a cake and really big sign. Desalegn and I talked about the animal project and I helped Rob with some menial tasks while he did physicals. Then a one year old girl was brought in with severe infection around her eyes. I had to hold her down while Rob cleaned the abscess above her eye. At one point when we were bandaging her I thought she died. She went so limp and she dropped the sucker she had in her hand. We hope to see her tomorrow to start her on antibiotics we pick up in the morning but Rob isn't sure she will live through the night. We all piled back into our vehicles to make the return trip to Soddo when it started to rain. Funny how you don't think much about a wiper until you are driving in the rain. Well, let's just say the passenger could see okay. But did we stop? no! Why? Because we are men and we are not going to let something as little as no vision slow us down. We pressed on. When we came to the "Y" in the road that we did not know which direction to take, did we stop? No! We pressed on. When the windows fogged over and we could not see through the fog did we stop? No! We pressed on with open windows because the defrost did not work. 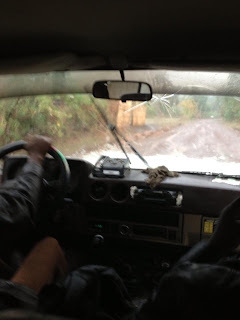 When it rained so hard we could not see the road at all, did we stop? No, we pressed on. Eventually we found the lead car waiting for us at an intersection telling us to head to the right, did we stop? No, we went to the left. This was fortunately corrected quickly. To make a long story shorter, we lost the lead vehicle again and it took us so long to get to Soddo that they came back looking for us. Rob and I had a great laugh the entire time because if we didn't laugh we would have surely cried. Arriving at the hotel we found that we did not have reservations like we were suppose to and they had no room. I am not sure why it took the Ethiopians 45 minutes to hash this out but it did. Finally it was decided to head out to eat. First he drove forward while I was trying to climb into the back seat. I had troubles getting in before I hurt myself and trust me I did not get any faster. Fortunately I avoided getting run over and was able to enter the truck when it stopped moving. He was apologetic. At dinner, I was suprised when Tamara brought out cards from the kids and candy bars for everyone. She also passed a card around and everyone signed it. When we left dinner our driver struck again. Literally! This time it was a red Toyota truck that had the misfortune of parking behind us. Even though it was witnessed by a guard he did not get in trouble and we just drove away to our current hotel. I can't say much about this hotel other than I stayed in worse. It was in Mongolia but it was more scary than this. I got to call the kids at school and they sang happy birthday to me and asked if I liked the cards they made and then I got the best gift of all. . . . Ingrid informed me that as of 9am tomorrow we will have a new driver and new vehicle! While this probably will not go down as my best birthday ever, it is definitely going to be one of the most memorable. The next day the van did show up right on time. Not only did the new van and driver have to leave at 2am to be here on time, but they brought another driver to bring the first one and the truck back. They did not even trust him enough to drive himself back to Addis. Heck of a way to, all we can assume is, end your career. Being driven back to the office to be fired. To bad. He was a really nice guy, just not a very good driver.